for two days. We get just under 3,000 in our garden alone. That's more than some garden tours get in total! AAA's Sally Cunningham's Garden Discoveries tour to England and the Chelsea Flower show in May is a sell-out. 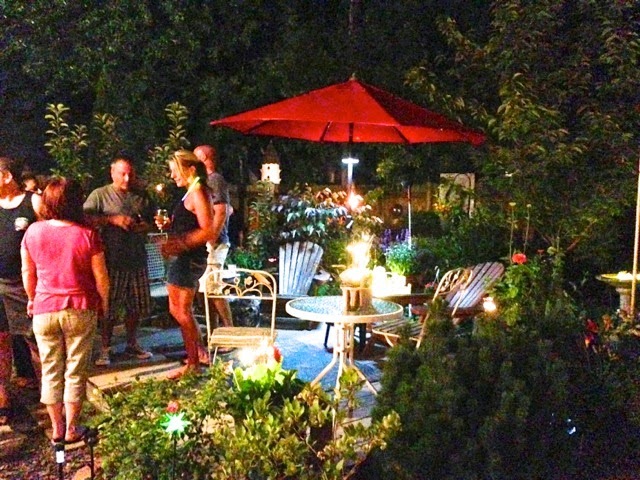 The National Garden Festival's Open Gardens, 70-some premier gardens through Buffalo Niagara open for free on Thursdays and Fridays, is happening with plenty of interest from new gardeners. 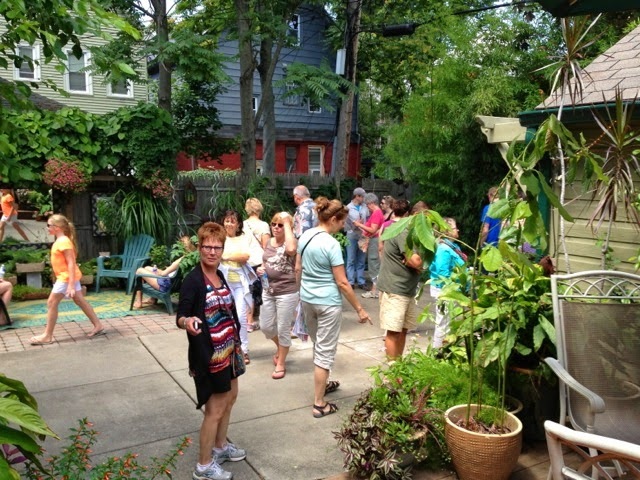 The Buffalo-style Garden Art Sale may surpass last years' total of 40 vendors, including vendors from Ohio and Florida. 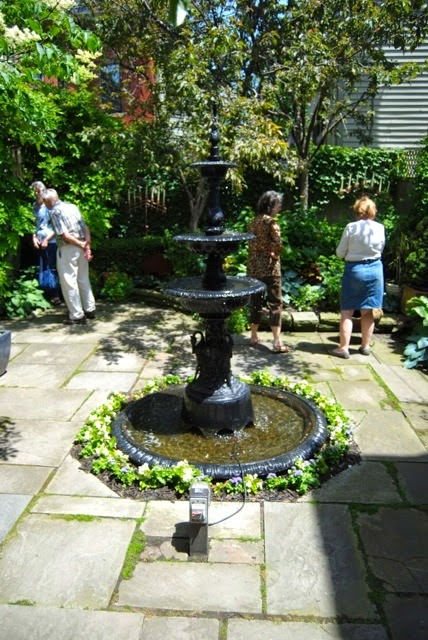 15 Garden tours throughout Buffalo Niagara are geared up and ready to go for this year. AAA's Sally Cunningham's Garden Discoveries has a full slate of bus tours lined up with much enthusiasm from AAA. collection of both daylilies and hostas. National Garden Festival's LEAF a Legacy and area PLANT WNY landscapers are already working on their project for the year in Forest Lawn, and with the the Olmsted-designed Delaware Park's Park Japanese Garden. for the Arts with a garden-themed exhibit in 2013.
or four adding them to their day tours in 2014. 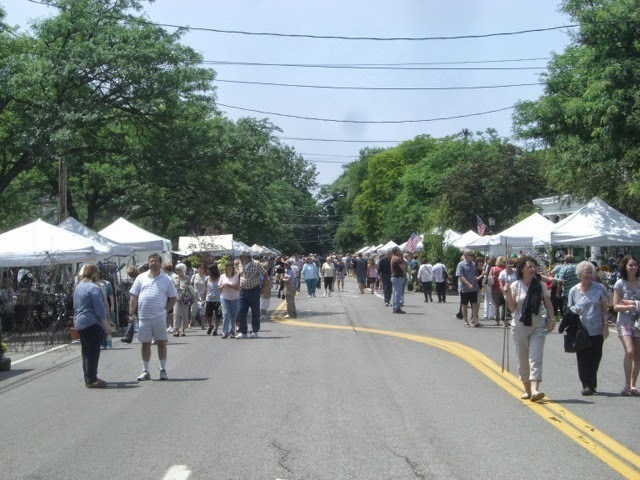 1,500 shoppers and 40 vendors in 2013. The Friends of the Japanese Garden are having the first ever Cherry Blossom Festival in May, along with a pink tie gala. A local group is starting a Shakespeare Garden on the grounds of the Karpeles Museum. Larkin Square is just starting the planning stages of a speakers series with garden authors from around the area. Sprout, a new, high-end garden art and furnishings store from the owners of ROOM, is opening up on Hertel Ave.
Garden Walk Buffalo has new volunteers and a coordinator of volunteers that will also draft more. If you're interested, email us here. Have you seen the Frederick Law Olmsted-designed Delaware Park Rose Garden in bloom in recent years? It is nothing short of stunning. $8,000 in Garden Walk Buffalo Lunenfeld Beautification Grants are going out into the community for gardening projects for this year alone. Urban Roots Garden Center and Grassroots Gardens of Buffalo were given grants to provide lectures & workshops from January through April which have been well attended. Garden Walk Buffalo will have a billboard up on Elmwood Ave. above Nektar for the month of July. The Buffalo Junior League Showhouse income was donated to the Massachusetts Avenue Project's Community Food Training & Resource Center– $300,000! Lockwood's Greenhouses is celebrating its 100th anniversary this year. The Erie Basin Marina University Trial Gardens are testing annuals and perennials for companies from around the world an has never looked better than the past few years. 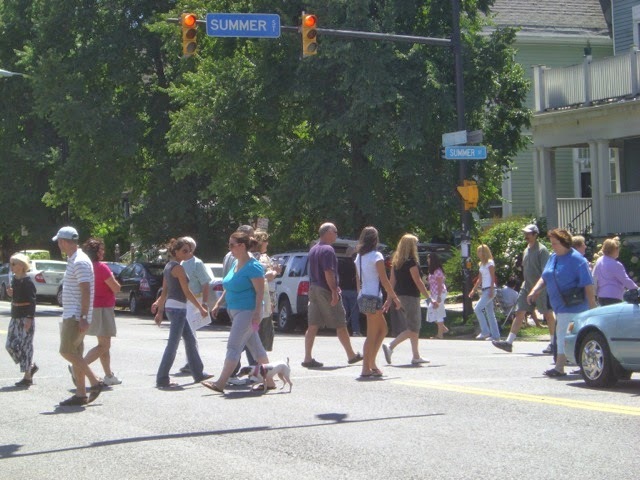 It's Garden Walk Buffalo's best year ever for sponsorships. Garden Walk Buffalo is in a great financial position going into the year. This is thanks to great financial stewardship from past and present board members and past and present treasurers. 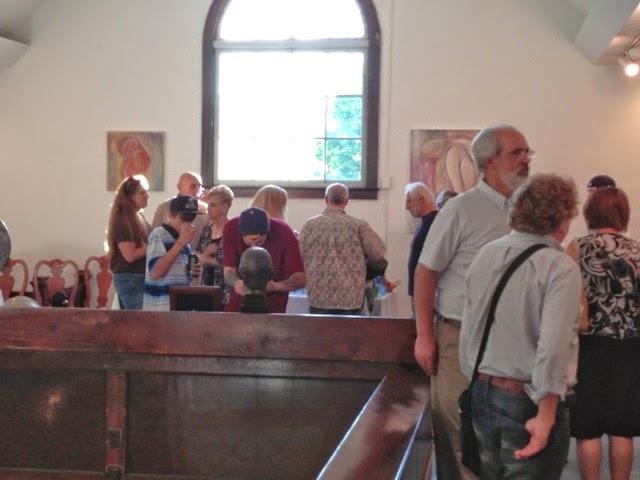 Garden Walk Buffalo has a collaboration with the Burchfield Penny Art Center - they planned the Burchfield Botanicals exhibition to coordinate with Garden Walk and the Garden Festival. And the Albright-Knox has their Anselm Kiefer: Beyond Landscape exhibition timed over the summer. 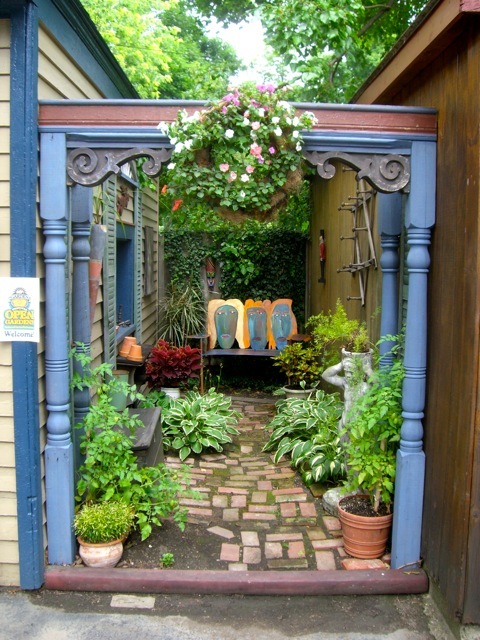 1045 Elmwood Gallery of the Arts has a garden-themed exhibition lined up with Garden Walk that includes a Garden Walk founder, Gail McCarthy. Garden Walk Buffalo has strong relationships with the BPO, Visit Buffalo Niagara, Burchfield Penney Art Center, Richardson Olmsted Complex, Frank Lloyd Wrights Martin House Complex, Larkin Square, First Niagara Bank, Mike Webers Greenhouses, Lockwood's Greenhouses, Urban Roots Garden Center, BlueCross BlueShield of WNY, Catholic Health, The Buffalo News, Buffalo Spree Magazine, Upstate Gardener's Journal, Buffalo Heritage Unlimited publishing, and distribution, Plantasia Garden & Landscape Show and many other well known gardening, tourism, and corporate entities in the area. Garden Walk will be lighting up Niagara Falls, the Buffalo Main Lighthouse, Burchfield Penny Art Center, M&T Bank, the Electric Tower, the Peace Bridge, the Central Terminal, the Buffalo & Erie County Botanical Gardens in green for Garden Walk weekend. And more to come. And there's garden parties not mentioned in the bullet points. Here is the Garden Walk Buffalo "Rally Party"
With the merging with National Garden Festival, Garden Walk Buffalo will now have relationships with the Buffalo & Erie County Botanical Gardens, Cornell Cooperative Extension Master Gardeners, the Buffalo Olmsted Parks Conservancy, PLANT WNY, and more groups that they didn't have relationships with previously. Frank Lloyd Wright's Martin House Complex is offering a series of garden-related lectures and workshops this summer. 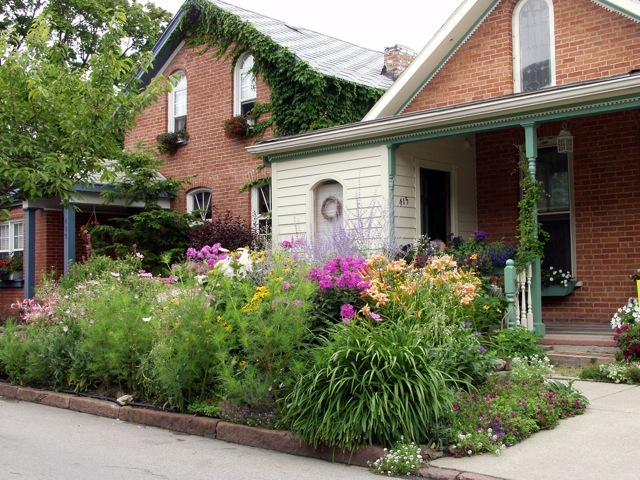 Sally Cunningham and Visit Buffalo Niagara are already planning for the 2017 Garden Writers Conference to be held here – between 500 and 600 garden writers from around the country will visit. Garden Walk Buffalo has produced a magazine-style, stunning (if I do say so myself – I designed it!) 20th Anniversary Commemorative Annual. It's 60-pages of articles and photos of Buffalo's great gardens. great way to see gardens. 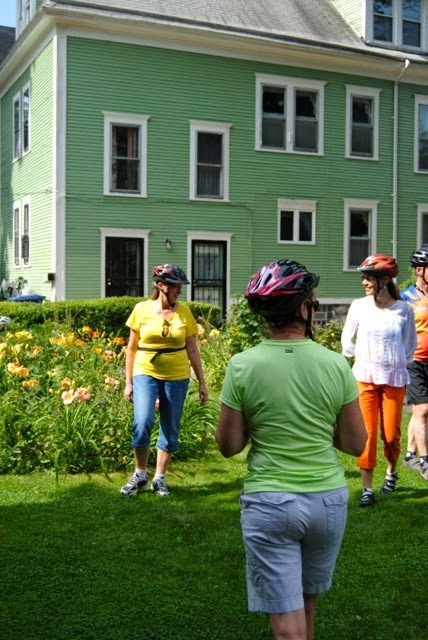 A bike tour of gardens is planned for South Buffalo during the Ride for Roswell weekend, as well as a tour called "Beyond Flowers" highlighting community and sustainable gardens, water retention gardens, urban farms and more. 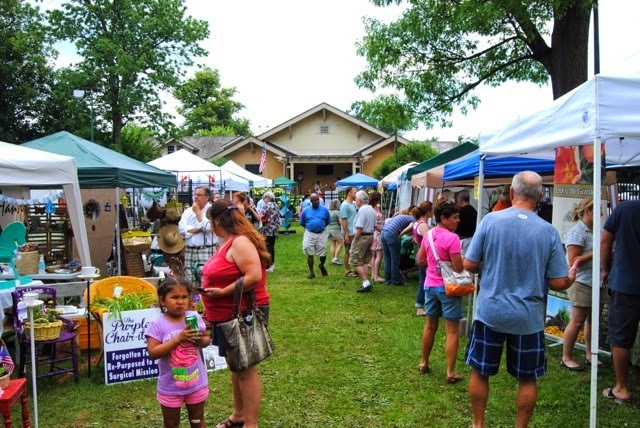 The Elmwood Village Association is looking into the Elmwood Bidwell Farmers Market opening up late for picnic dinners the Saturday of the Walk. 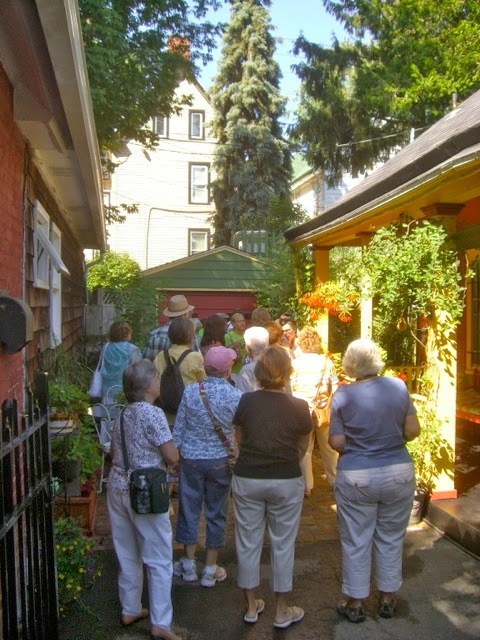 The New York Times contacted Garden Walk last week asking for information and photos for this month's article on Home & Garden tours to visit this year. Two radio shows (one here and one in Rochester) have already invited us to appear when it gets closer to the Walk weekend. 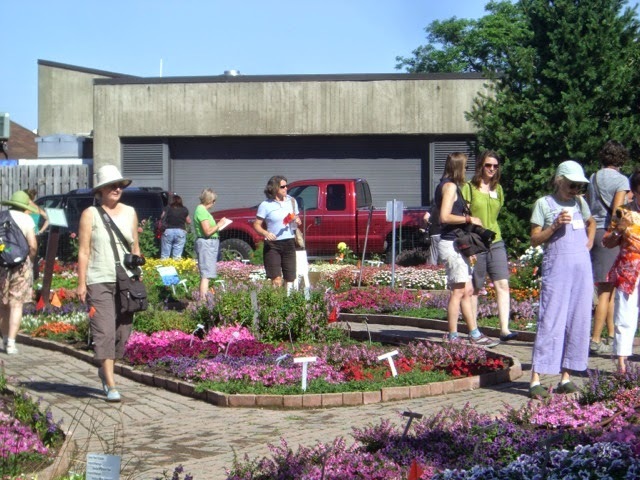 Groups like Plantasia Landscape & Garden Show and groups in Erie, Toronto, and Hartford CN are interested in Garden Walk and having presenters give talks. Garden Walk Buffalo has a page on Wikipedia, gets 2,310,000 hits when you put it in Google, and is rated the #2 Activity in Buffalo on TripAdvisor.com. Resnicow Schroder, Visit Buffalo Niagara's press relations firm in NYC has just sent out ten of the GW Press kits and magazines to national publications. Garden Walk has sent 20 GW press kits out to garden magazines and regional newspapers two months ago. vendors of garden art and plants and shrubs. Other city's newspapers have either let go, or greatly diminished their garden writers and columns, if they still even publish them. The Buffalo News, in the last few years, has moved Sally Cunningham's weekly column to the front section of the Lifestyles page and often give her color photos. In the coming weeks it'll have more dominance on that page. This is no little thing. I know of three bus tours coming in from out of town already this year (Machanicsville, PA; Wilmington, DE; and Ontario, Canada). I'm told hotel rooms are already starting to get hard to come by for GW weekend. I am in regular contact with garden tourism author Richard Benfield, who is keenly interested in what we're doing here in Buffalo, as well as in touch with Michel Gauthier of the International Garden Tourism Conference - who is also following Garden Walk with interest. and so are the hotels! Visit Buffalo Niagara is planning a trip to NYC for representatives of different tourism segments (art, foodie, festival, garden, etc.) to meet with travel writers. It was actually planned for February - but was canceled because of bad weather (in New York!). Garden Walk is always talking to other groups around the country about operating garden tours - last week I answered questions from Cleveland. The current president, Cindy Loomis has been talking to other groups as well. 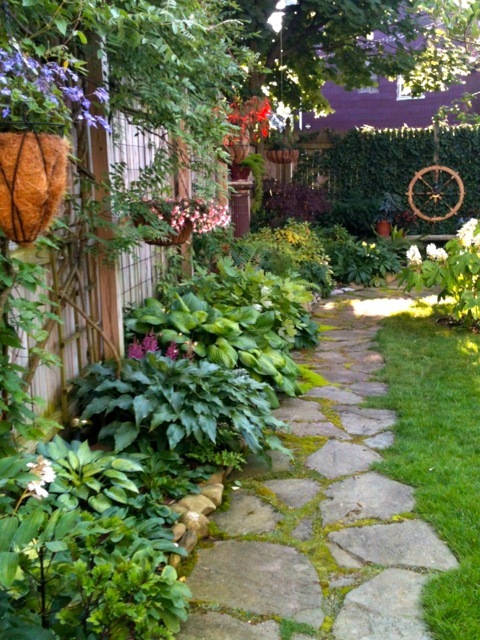 Visit Buffalo Niagara garnered a $50,000 NYS grant to promote garden tourism. Garden Walk had the inside front cover full-page ad in the Canada Blooms Showbook last month because of this grant. And they're working on upcoming media buys now. 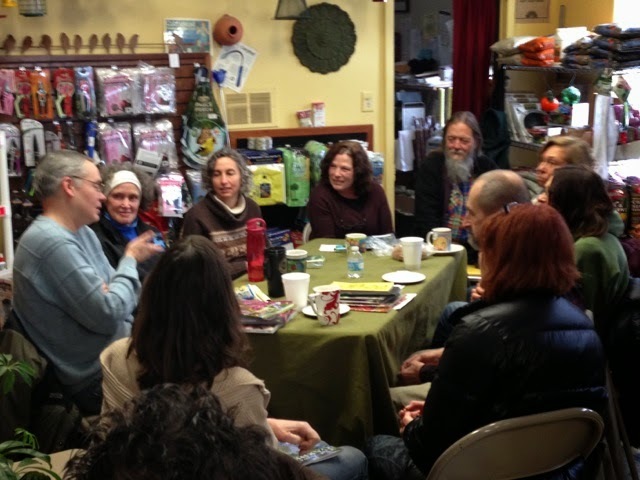 Discussion at Urban Roots garden Center. These are just some of the reasons why I am encouraged for the coming year. There's plenty going on I did not list - or maybe even don't know about (including dozens of small and large garden parties). There is plenty of enthusiasm out there in what people are actually planning and preparing for. I believe Garden Walk's 20th Anniversary year will be a banner year and throw Buffalo to the top of the compost heap when it comes to garden tourism. 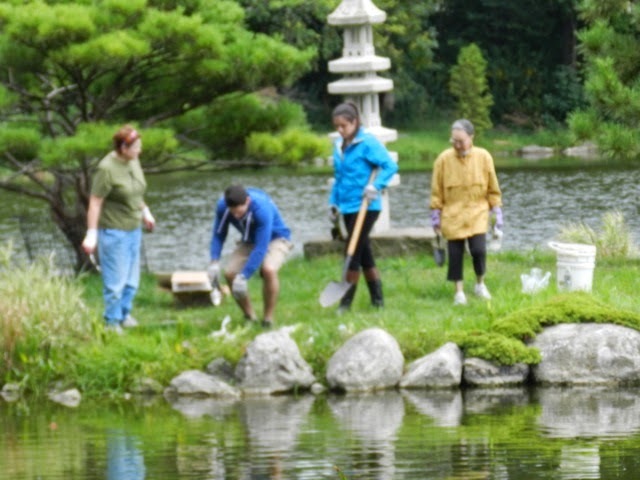 Here, volunteers plant iris in Delaware Park's Japanese Garden. 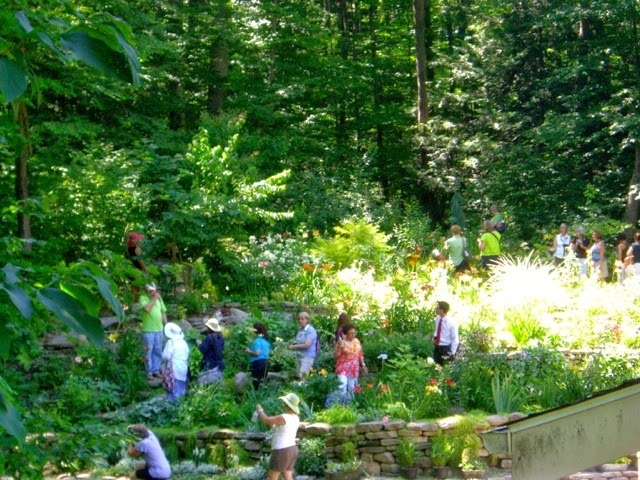 Not only do we have America's largest garden tour, with the other events and activities, from bus/bike and walking tours, a garden art sale, speaker series, garden center workshops, international garden travel opportunities, museum exhibitions, community involvement, corporate sponsorships, press opportunities, teamwork between gardening and tourism organizations and non-profits, visiting bus yours from out of town, sharing our success with other city's garden tours, beautification projects large and small, new themed gardens and events we have what every city wishes they could have as many as we have – passionate, creative, and generous gardeners. 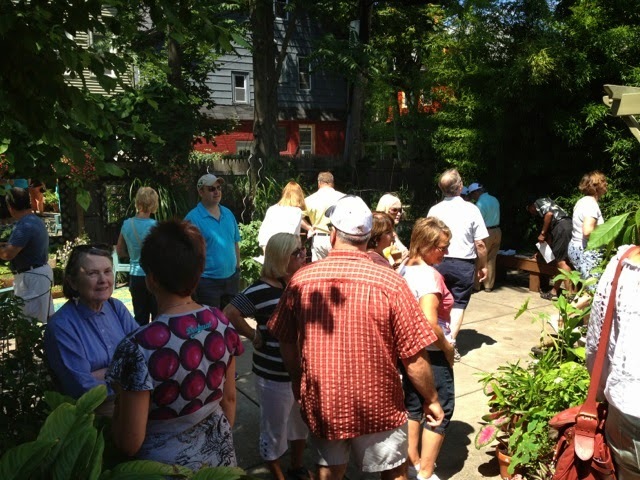 For Garden Walk Buffalo, there are lines to get into some of the gardens. test annuals and perennials for seed companies from around the world. you may see these plants on the market in 2-3 years. This is a wonderful post, Jim. It highlights and calls attention to so much in one place. I clicked a few of the links and it is a good reference to bookmark. Terrific post Jim. Captures the highlights of a Buffalo Summer for anyone interested in gardening. 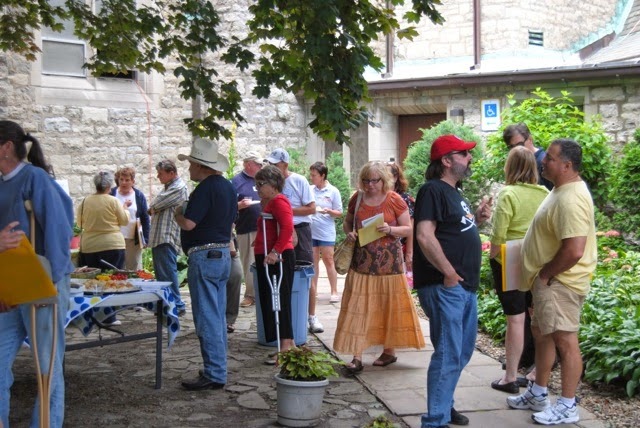 As a "supporting cast" we the 15 other garden walks appreciate being mentioned in your post and hope to become more like the Buffalo Garden Walk in many ways, attracting more out of town visitors to our wonderful area. Thanks.